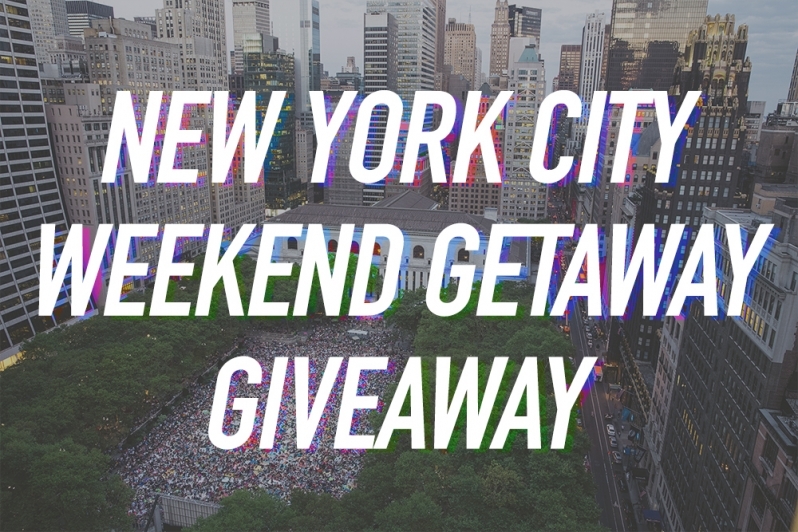 Win a New York City Weekend Getaway! Itching to get to NYC? Well, now's your chance because I'm giving away a weekend escape at the Bryant Park Hotel as the Golden Ticket prize in my next Quarterly Box #MIZ12! Watch the video above for details about this NYC weekend getaway prize. If you're already subscribed to my Quarterly Box, have no fear, you're entered to win. If you're new to my Style Up 2 Shape Up box, you can read all about it HERE and sign up to get it HERE. Every box (shipped 4x/year) is packed full of trending wellness products and innovations catering to women who like to work out or who are aspiring to live a healthier lifestyle. I spot and report on health & wellness trends for a living. What you're getting inside my Quarterly Box is a curation of my favorites. The ones I use to stay in shape and in style, which in turn keep me movitated to stay the course. Now, back to the Golden Ticket prize because I can't wait for you to win it. Your weekend will commence by checking into a beautiful room at the Bryant Park Hotel for 2 with a parkside view. I recently filmed my #MIZ11 unboxing video in one of these amazing suites. There's so much natural light and I fell in love with the bathroom, which is the one thing you can't see in these pictures. Trust me, it's modern and beautiful. I could live in it. Not even joking. In my opinion, the best part of this prize is the location. The Bryant Park Hotel is nestled in the heart of Bryant Park near the library and large lawn where so much goes on. In the summer and fall months, Athleta and a few other fitness boutiques organize huge public yoga classes that are FREE! It's a sight to behold and a great way to experience New York. In addition to a complimentary weekend stay at the Bryant Park Hotel, you'll get a cardio dance class at DanceBody in Tribeca. This is an amazing studio and workout. You wouldn't be a GYMSETTER if you didn't work out while traveling, right? This class will energize and invigorate you during your weekend adventure. I can't wait for you to try it. I saved the best for last, haha! At some point during your romp through NYC, I'm going to treat you to a healthy smoothie. Don't worry, I can work around your busy schedule :) Now, all you have to do is WIN! So make sure to sign up for #MIZ12 and pray hard to the Golden Ticket Gods. Or just ask the Universe. Whatever works for you :) Good luck!! !